On Tuesday, January 27, 2015 our sweet Takei lost his fight against cancer. After a failed and traumatizing attempt to feed him his daily dose of chemotherapy on Monday, his decline accelerated. His breathing, ever more labored, showed us he was truly suffering. By Tuesday he had also begun expressing his pain with despondent meows. It was obvious he wouldn’t survive. That evening we made the difficult decision to euthanize him. Like most cats infected with feline leukemia, his life was short. 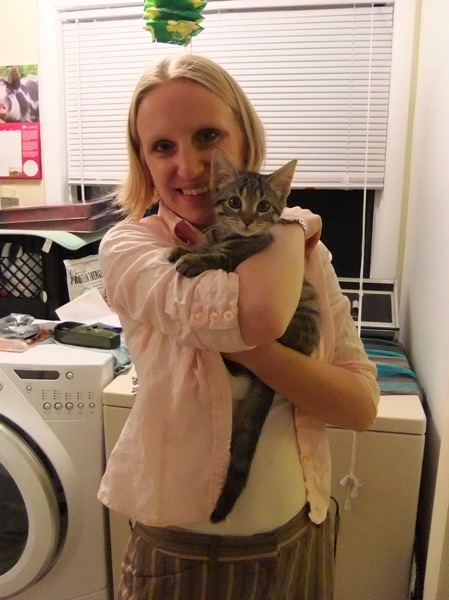 But we nearly didn’t adopt him at all (we were already caring for three cats), which would have almost assuredly resulted in his destruction at the shelter. And for a cat with the disease, his three and a half years with us is on the upper end of most expected FeLV+ life spans. So while we mourn his loss, we’re also thankful to have had the time with him that we did. 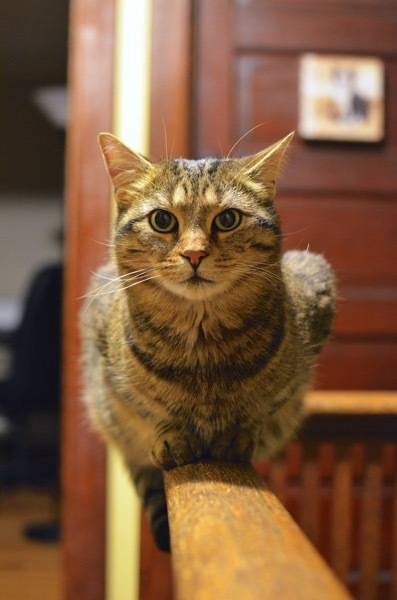 All cats—all animals—have personalities, but in our house Takei’s was particularly outsized. 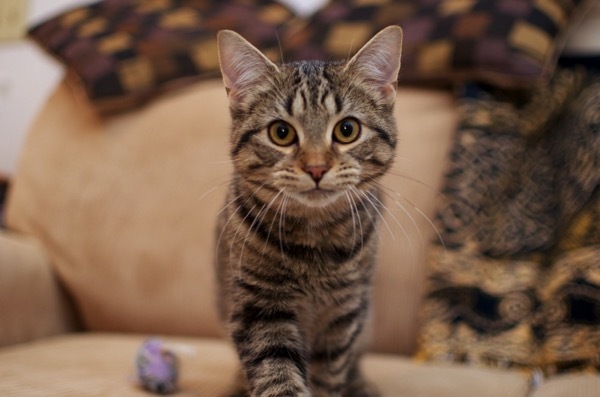 The playfulness you see from his kitten years stayed with him up until the last week of his life. Of the seven cats we’ve cared for over the years he’s one of only two who have enjoyed playing fetch (the other was Gatsby). For two years Takei was easily the most energetic cat we had. None of the other cats could really keep up with him and we felt bad that he didn’t have a proper playmate. That changed in the summer of 2013 when we adopted Mac. Takei finally had a buddy who could play as hard as he did and they became inseparable friends. Takei was exceptionally vocal in our household. 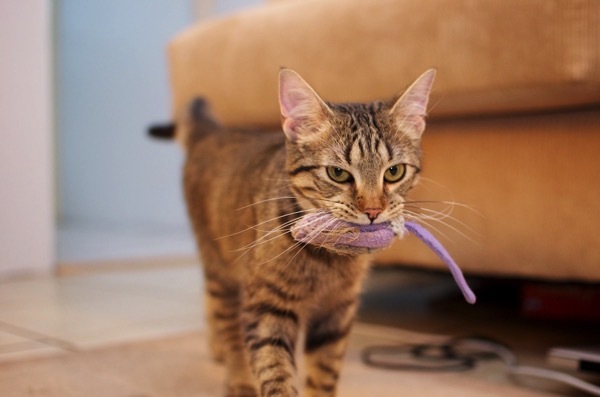 Like many cats he meowed proudly before delivering us a toy he had “caught”. He was a persistent nighttime howler. He had favorite toys and would cry for help if they were out of reach. 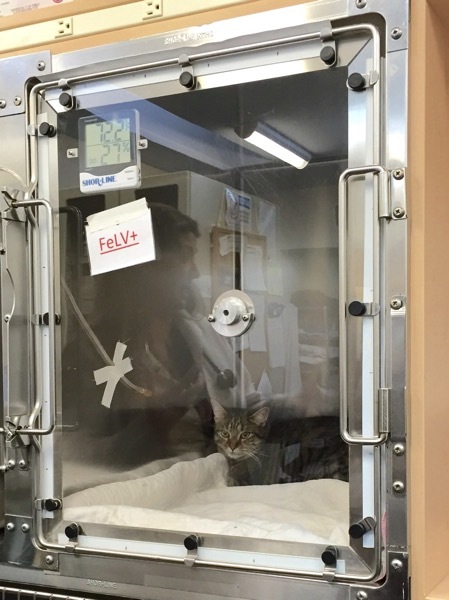 Cats are known for hiding their illnesses until the bitter end, but even so Takei was remarkably resilient. Towards his last days he was still precariously balancing himself on handrails. While Takei’s appetite was weakened it was notably stronger than Pilgrim’s when he was undergoing chemotherapy (Pilgrim ultimately needed an appetite stimulant). He had stopped being particularly playful in his last week but still maintained his lifelong feeding time aggression, biting and swatting at Julia as we prepared food for them. It hasn’t been easy saying goodbye, but he was an amazing cat whose presence around the house will never be forgotten. September 14, 2014: We’re walking around Fall Creek enjoying PorchFest, eventually stopping to watch and listen to popular local group The Gunpoets along with what seems like most of the PorchFest attendees. At their performance we run into Dr. Rassnick, the Colonial Veterinary Hospital oncologist that took care of Pilgrim when he was dealing with lymphoma. We make some small talk and as we leave each other, Dr. Rassnick gives us a standard friendly farewell: “Hope to see you soon!” We can’t help but let him know that we can’t exactly share the sentiment. I should’ve written this a while ago, but it’s enough work just dealing with the situation. On Sunday November 9, 2014 we noticed Takei was having difficulty breathing. We had been through something similar with Pilgrim when his shallow breathing was symptomatic of a mass in his chest. It was unfortunately not a surprise then, when the doctor informed us Takei had a mass in his chest. Like Pilgrim, fluid build-up from the tumor was making it difficult for him to breathe. Also like Pilgrim, the immediate course of action was to drain as much fluid as they could, keep him in an oxygen tank overnight for observation, and make plans to see Dr. Rassnick. 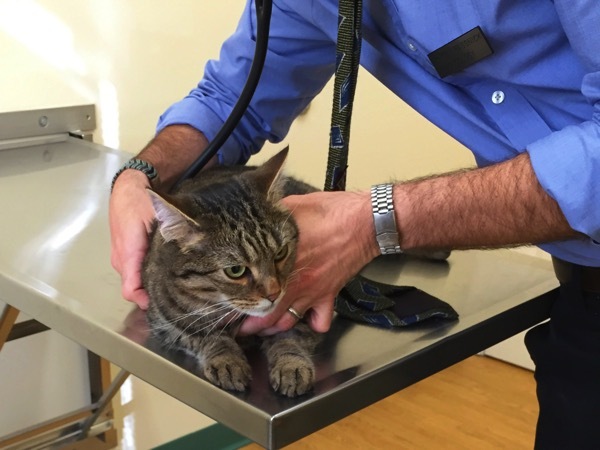 For a couple months the prognosis was as positive as Pilgrim’s: the mass was shrinking, Takei was moderately active and playful, and his appetite was fairly strong. The worst part of the treatment, I frequently joked, was the damage being done to our bank accounts. Unfortunately the good news ended when Amber took Takei for his regular treatment this week. 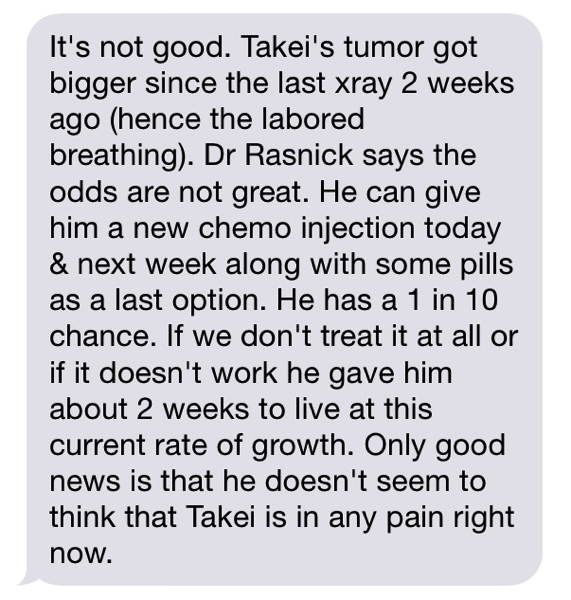 Takei’s tumor has gotten larger, which basically means the chemo is no longer effective. He’s down to a 1 in 10 chance of survival. For now we’re continuing his long-shot treatment, but we are of course realistic and pragmatic. He isn’t likely to be with us much longer, so we’re taking every opportunity we have to spend time with him and make sure he’s comfortable. And while right now he’s weak and lethargic, every time I look at him I still remember the energetic, fetch-playing, perpetually baby-faced cat we’ve been lucky to have with us for over 3 years. I love doughnuts. One of the great joys of my childhood was helping my mom pick out the dozen rings of fried goodness we were going to bring home to the family from Dunkin’ Donuts. In time I came to learn the pleasures of even higher quality, more artisanal doughnuts, including vegan ones at Voodoo, Pepples and Dun-Well (sorry Vegan Treats, Babycakes, Sweet Freedom and other purveyors of baked doughnuts; your stuff is generally great but a doughnut is meant to be fried). Unfortunately, Ithaca, New York isn’t home to any vegan doughnut shops or even a Whole Foods (which actually makes pretty good ones). We were on our own. And while frying can be quite the hassle, my love for this toroidal confection made it worth the effort. 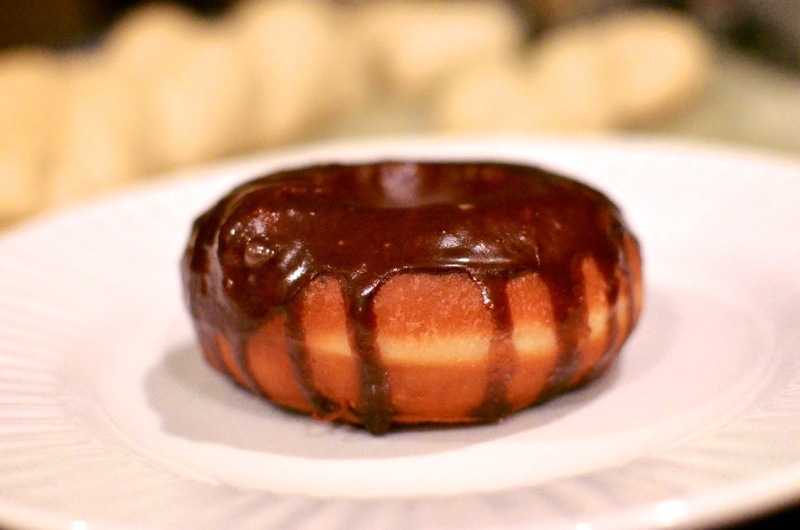 For years I tried various recipes: the vegan yeast-raised in Lara Ferroni’s excellent book, vegan crullers and other doughnut varieties from bloggers all over the internet, and the chocolate-filled beignets from the outstanding Vedge cookbook. Everything here is measured by weight (mass, actually, but let’s not get pedantic). This is mostly because that’s how the original recipe was presented, but also because baking by weight produces much more consistent results. 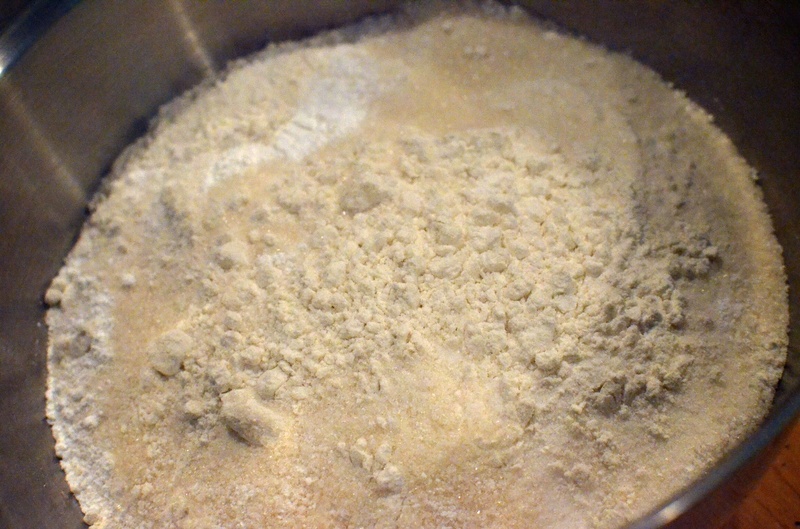 You don’t have to worry about how tightly you’re packing the flour or bother with different measuring cups and spoons. For stuff that gets mixed together you can just stick a bowl on the scale and re-tare it for each ingredient. Digital kitchen scales are not expensive and you’ll get a lot of use out of one. 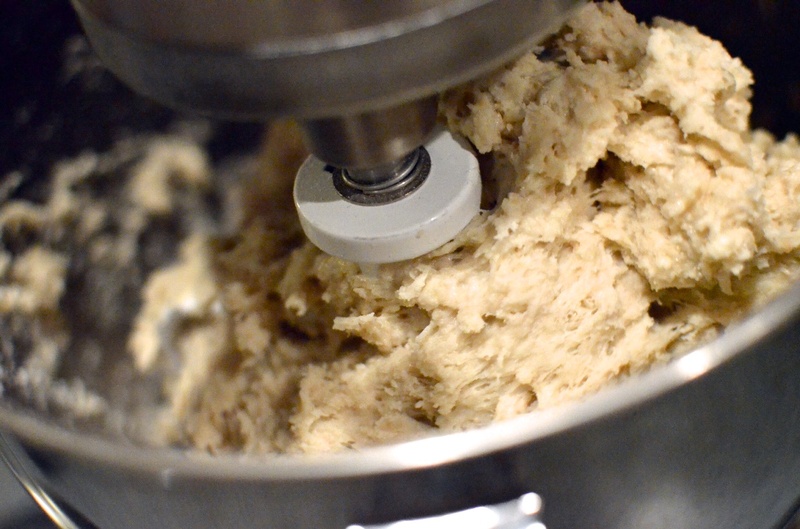 Using the dough hook, run the mixer at medium speed until the gluten in the dough is well-developed (about 10-12 minutes). Perform the windowpane test to determine whether you’ve achieved full gluten development. Wait for your doughnuts to proof.There are a number of techniques for doing this, but the bottom line is they should be hanging out in a warm and moist environment. On a hot and humid summer day I don’t have to do anything special: they’ll proof in several minutes just sitting out. Otherwise I like to very briefly heat up the oven (so it hits about 90º F) and shut it off, fill a shallow baking dish with boiling water and stick that in the oven along with whatever I’m proofing. You end up with a warm box with a lot of moisture.You use the finger dent test to determine when the doughnuts have proofed. 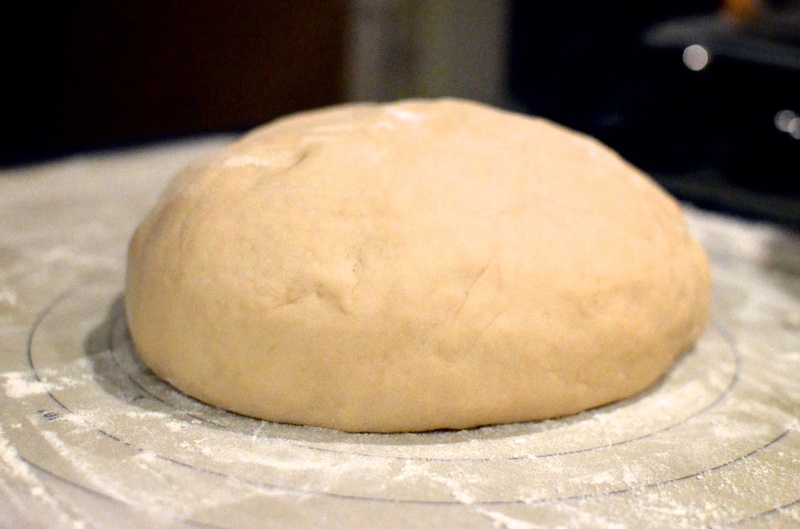 Basically, if the dough springs back immediately when you poke it, it’s not ready. If it recovers its shape slowly, it’s proofed. And apparently if it stays indented, you’ve allowed it to overproof. I believe you can pound the dough down and re-roll it if this happens, but I gotta be honest: it’s never happened to me. Once your doughnuts are proofed and the oil is hot, place 2 or 3 doughnuts (depending on the size of your pot) into the oil at a time. I use a metal spatula to gently scrape it up and into the pot, but I still don’t have this down perfectly and thus end up deforming the doughnut. Thankfully the imperfections aren’t noticeable once the doughnut is fried. Let them fry for about 90 seconds and then flip and allow 90 seconds on the other side.Pay close attention to the oil temperature! 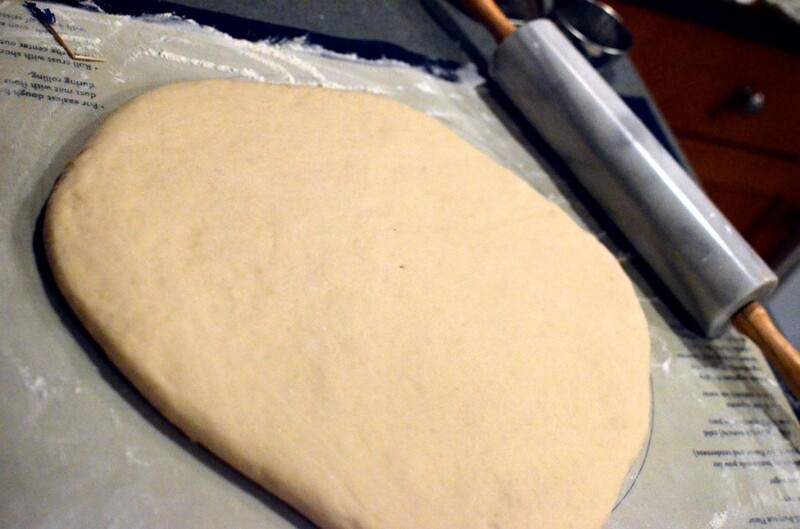 When you drop the dough in, the oil temperature will drop significantly. I crank the burner on high to compensate. But you don’t want the oil too hot either or they’ll brown too fast on the outside. 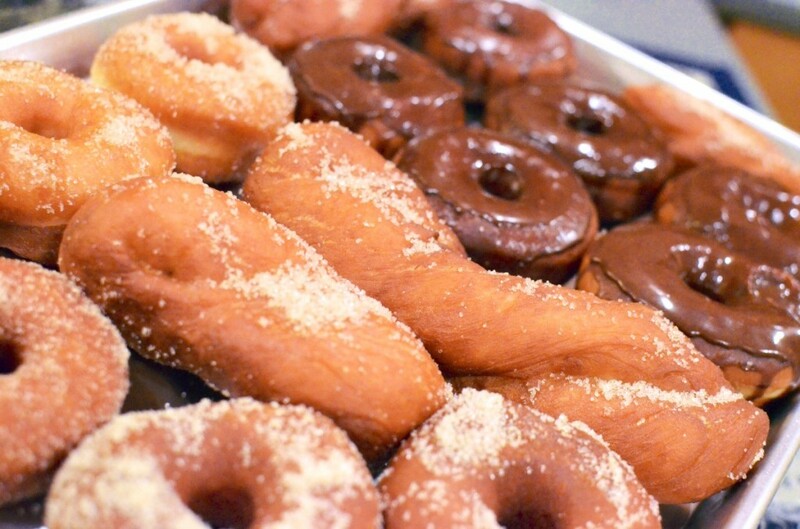 When the doughnuts are golden brown, pull them out of the oil and place them on a cooling rack. I like to line the rack with a paper towel to help absorb some of the oil. That last point is something I’ll continue to work on as I tweak this recipe. 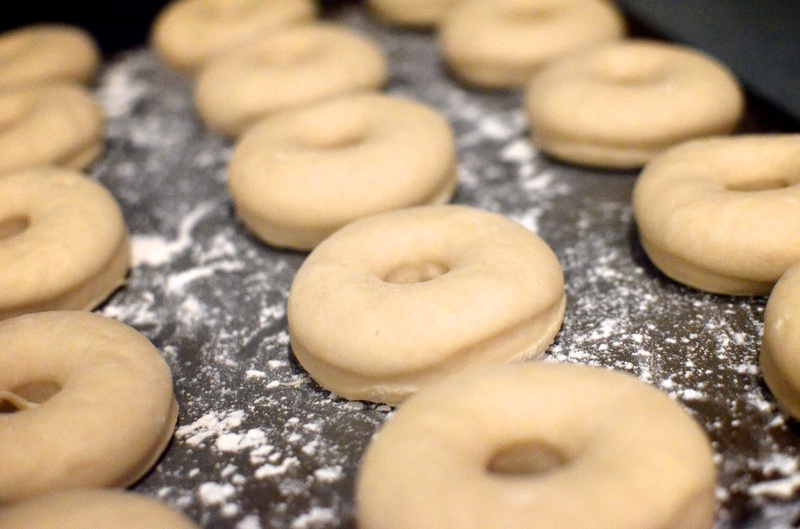 Lecithin is supposed to help lock in moisture, which helps the doughnut survive longer. I want to play around with adding some of that to the dough. You should also let the doughnuts sit out uncovered, as they do in doughnut shops, especially if they’re still warm. Otherwise they’ll steam up a closed container and get soggy. 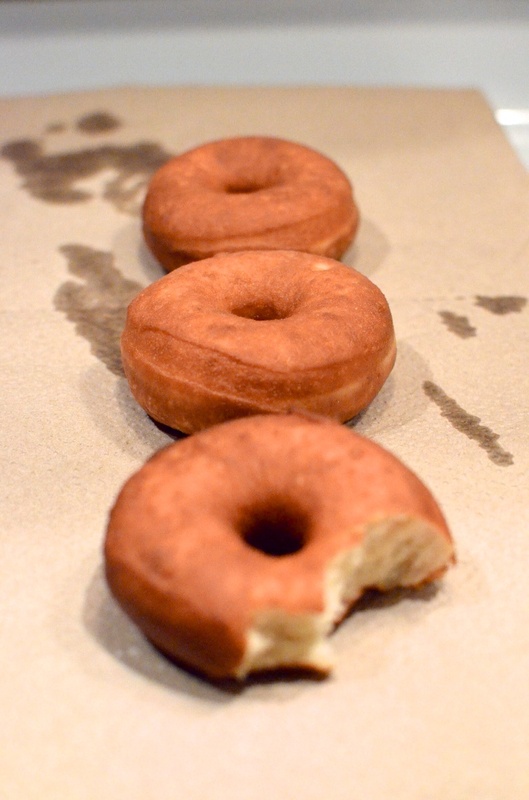 I also want to try my hand at cake doughnuts, often referred to as “old-fashioned”. A lot of people seem to think that cake doughnuts are baked, but they’re not. Like any real doughnut they are fried, but the batter is just of a more cake-like consistency. I’ve always preferred the yeast-raised doughnut, but variety is the spice of life. There’s always room in my stomach for a good cinnamon sugar cake doughnut. There you have it. Let us know how well this recipe works out for you and please share the effect of any tweaks you make.